Today, on Oscar Night Eve, we’ll stop talking about what I think is going to win and talk about what some oddsmakers think is going to win. So first, a brief overview of how betting works. The number on the right is how many you have to bet to get the number on the left. The ratio of those numbers indicates how likely the oddsmaker thinks that thing is to happen: if something is 100/1, you only have to bet $1 and if it comes true, you get $100 back. But that means it’s not very likely to happen, because if it were going to happen every day, the oddsmaker would lose $99 every day, and that isn’t going to make them any money. Odds are set so that people are equally likely to bet both sides. That’s how sportsbooks make money: they set the line (odds, etc) at exactly the point where people will be willing to bet both sides of it; only one side will be right and the sportsbook keeps the money from the losers. So you have to bet $100 to win a single dollar if Gravity wins. Those are pretty freaking insane odds, so it’s pretty clear that this sportsbook believes that Gravity has a mortal lock on the category. If they thought it was a closer race, they could be making more money on people betting on more than one option. On the other side of the spectrum, if you bet $1 on The Grandmaster, you would make $50 back. That’s would be a pretty good deal, except it would be the upset of the century if it happened. Now lets look at what the numbers tell us in the other categories. Remember when I said that Cuaron was a lock because of the DGA win? I’m not the only one who thought that. Note that for that last one, it’s such a lock that you can’t even bet on the other options individually. It’s either the favorite or the field. I cannot tell you without a calculator how much better odds 4/7 is than 4/5, but look! Lupita Nyong’o is the favorite! Good news. It’s the three-way race I mentioned on Thursday, with Broken Circle Breakdown just slightly on the outside looking in. The Great Beauty is still on top, but don’t be surprised when something wonky happens on Sunday. Sweating bullets here. Act of Killing has the edge, but BARELY. This is the one set of odds that doesn’t match my analysis from this week. I have Captain Phillips picked because of the precedent of Paul Greengrass and Christopher Rouse as his associated editor. It’s surprising to see it not the favorite, but not surprising to see that Gravity is the usurper. Like I’ve been saying all week, Gravity stands to sweep everything it’s nominated for, and this would be one more domino in that row. So the odds have 12 Years as a pretty heavy favorite, though not so heavy by the standards of some of these other options. Fingers crossed! Now for some prop bets! Will the same film win Best Picture and Director? This is a bet on whether Gravity will win Best Picture. We know that Alfonso Cuaron has Director already; if you think Gravity‘s going to win the big one, you bet that it’s the same, if you think 12 Years a Slave (or, god forbid, American Hustle) will win, you bet No. The odds aren’t good enough, though for me to take that bet. Will “12 Years a Slave” win Best Picture, Director, and Actor? I find it inconvenient and annoying that I can’t bet No here, because I would. OOOH! Now this is an interesting category! Let’s break this down. Gravity was nominated in 10 categories, and 6 of them feel like locks: Cinematography, Director, Score, Sound Editing, Sound Mixing, and Visual Effects. It only has to win one more of the remaining four to be worth it to bet the over. It’s not winning Actress, we know that already, but it’s got a pretty good shot at picking up either Production Design or Film Editing, besides the fact it’s in a two-way race for Best Picture at the top. For even money (bet $1, win $1), this sounds like the best bet on the board to me. Will Pharrell Williams wear a Mountain / Buffalo Hat during his performance? Please? Pretty please? It took the internet by storm last time, and at least if we’re making comments about hats (and only hats), we’re not making racist, sexist, or otherwise internet-typical comments. Will Pink make an acrobatic entrance? I heard a great joke this week on the Filmdrunk Frotcast that I can’t remember well enough to quote about how often Pink is being lowered from something or other onto a stage and how 50% of construction sites are at risk of Pink showing up just to be lowered from a crane, so, I’d take the Yes. So there you go! 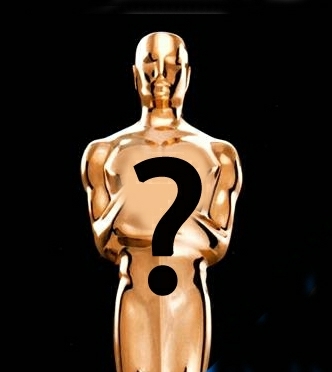 A full week (ahem, Tuesday-Saturday) of Oscar Nonsense and Ramblings(tm). I’ll post my official predictions list, ranked in order of certainty (because if you’re not playing with a confidence list, you’re just not focused enough on the Oscars).